Podcast: ‘Dugout Blues’ episode 222 – Alexander, Prior, Yelich, Puig for Bradley? 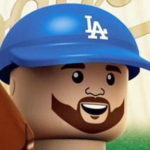 On this episode of Dugout Blues, Jared and I figure out a way to talk for 45 minutes about the Dodgers, even if not much has happened in the last three weeks. In the interest of full disclosure, Jared and I recorded on Friday. Luckily, the Dodgers made a 3-team trade the day before in which they acquired Scott Alexander from the Royals and infield prospect Jake Peter from the White Sox. They gave up prospects Trevor Oaks and Erick Mejia to KC and Luis Avilan went to the White Sox (as did Joakim Soria, essentially from the Royals). The Dodgers get Zach Britton-lite for a minimal cost. He gets a ton of grounders and there could be more strikeouts to come. It’d have been nice to see Oaks stick around, but he should have every opportunity to win a rotation spot in KC. Avilan was underrated in his time with the Dodgers, and the Mejia loss is basically evened out by acquiring Peter. A few more of these out-of-the-blue trades this offseason would be fun. The Dodgers also acquired an interesting RHP in Dylan Baker from the Brewers. He’s battled injuries through most of his pro career, but as a relief prospect, his 95-99 MPH fastball and slider could mean big things for him … if he stays healthy. Mark Prior is now the Dodgers’ bullpen coach. He replaces Josh Bard, who left to be a bench coach with the Yankees. Prior had worked with the Padres in previous seasons and, by all accounts, was very good. He could be groomed to take over for Rick Honeycutt as pitching coach whenever he decides to hang it up. I wrote about Christian Yelich here on Friday, and we talked about his potential fit with the Dodgers. We both agree that he’s the kind of player the Dodgers should be targeting (good, young, cheap). Alex Speier of the Boston Globe put this out there: The Dodgers approached the Red Sox about a Yasiel Puig-for-Jackie Bradley Jr. swap. On the surface, it’s a bit of a head-scratcher. But if you dig down a bit, it makes some sense. The Dodgers would be losing immediate offense because Puig was a better hitter than Bradley last season, but Bradley was arguably better the previous two seasons. Combine that with the fact he’s a plus-defender in center field and has an extra year of control (three vs. two for Puig), and you see why it makes some sense. It’d also open up right field (specifically) for a potential pursuit of Bryce Harper next offseason. We close the episode with a short Q&A session. Please keep the questions coming. Look for new episodes of “Dugout Blues” every Monday (or every other Monday in the off-season). Don’t forget to subscribe to the podcast and review us on iTunes. We want to make this the best podcast we can so we’re always looking for suggestions and ways to improve.